Chun outside the Cathedral of Christ the Saviour in Russia. As we gear up for that last home stretch before finals, other Messiah students are returning from a whirlwind semester of their own. Messiah’s study abroad program is ranked 7th in the country, according to the Institute of International Education. There are three new study abroad opportunities this semester, according to Wendy Lippert, Assistant Director of Off-Campus Programs. These additions include the University of Granada in Spain, a CIEE program based in Shanghai, and a Wayne State University collaboration semester in Munich, Germany.These three programs are all language programs for Spanish, Chinese and German majors respectively, although other students could potentially join if they’ve fulfilled enough language pre-requisites. Senior Phoebe Chua, a Math major, is finishing her semester at Oxford University in England. Beyond the academic rigor of studying under world-renowned tutors and experiencing Oxford’s city life, Chua says one of her highlights was joining the Women’s University Regionals Ultimate Frisbee team. They ended the tournament undefeated at regionals, securing them in a spot in nationals. “It has been a great privilege for me to play alongside such brilliant, athletic, and encouraging teammates. Also, with the amount of singing and dancing that we did during our warm-ups, I think I now have the solid training that I need to be the next Beyoncé,” says Chua. A little further east, junior Danielle Chun has spent her semester at LCC International University in Klaipėda, Lithuania – which, uniquely, is the only Christian university in Eastern Europe. 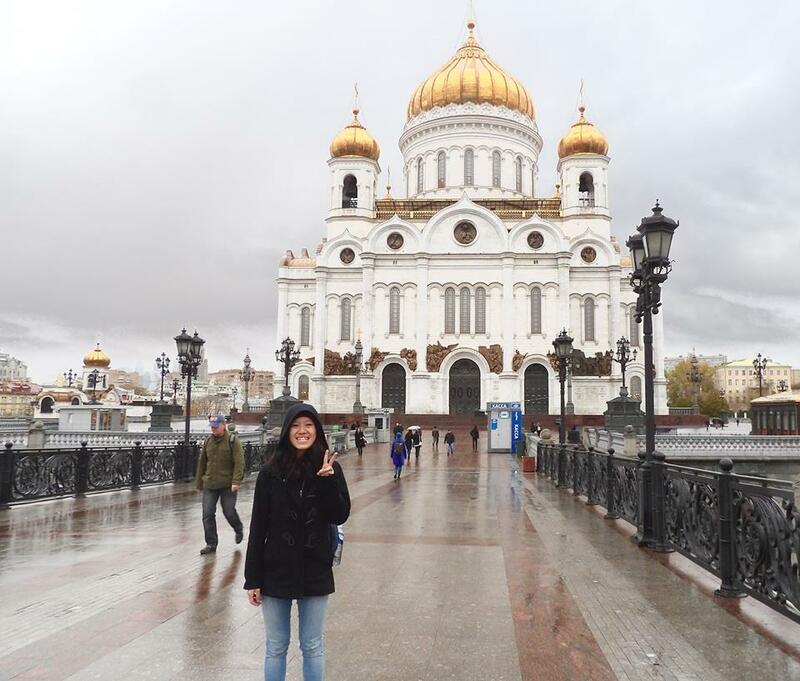 The program gave her the opportunity to travel on a weekend trip to Tallinn, Estonia, and Riga, Latvia, as well as a week-long trip to Moscow and St. Petersburg in Russia over fall break. While Chun says she missed Messiah’s campus and her friends, her semester has been a richly rewarding experience. “I appreciate the tremendous work LCC is doing and the light it is being in Eastern Europe. I’ve enjoyed being able to walk everywhere: to the sea, to grocery shops, to the Old Town, to coffee shops, the farmers’ market. I’ve loved volunteering at the baby house–an orphanage–which has also been an interesting experience communicating with caregivers who only speak Lithuanian,” she says. For anyone considering a study abroad experience, the Intercultural Office is more than happy to talk with students about what options are the best fit for their majors and interests. While leaving the Messiah “bubble” can be scary, it’s a wide, wonderful world out there, and Messiah is with you every step of the way – from pre-departure info sessions to post-study abroad events, which include a re-entry retreat and support for reverse culture shock. “It’s important for students to expect that they’ll come back with changes. For example, you might have seen poverty first-hand in a very different way during your study abroad then you ever had before. You might be asking yourself, ‘Why doesn’t anybody else get it? Why don’t they care more?’ We’re here to tell you that you’re not alone,” says Lippert. The Intercultural Office hosts Global Trekker events for students interested in studying overseas and often has previous study abroad students come and share their experiences. “This gives them a captive audience and a willing ear to share their learned wisdom and talk about their semester abroad. It’s a great way to process that benefits everyone,” says Lippert. Lippert also recommends the Engle Center as a resource for students dealing with reverse culture shock after a study abroad.